I hated this card when I was finished but several sweet Instagram followers told me they liked it, so I am posting it anyway. 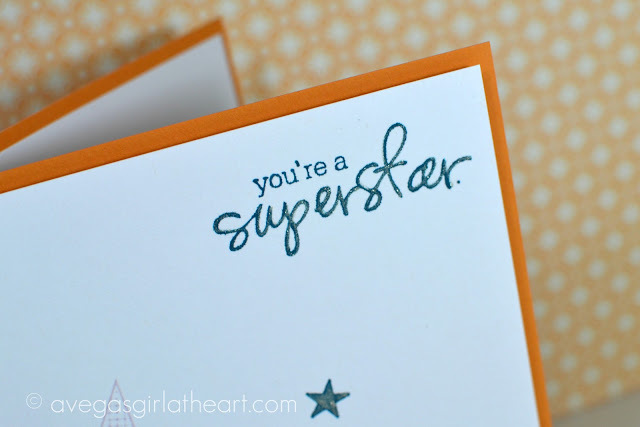 I found a retired Stampin' Up! star stamp set recently and wanted to make a card with it. Unfortunately this just didn't turn out like I'd pictured, and I can't place my finger on why. It might be the color combination. 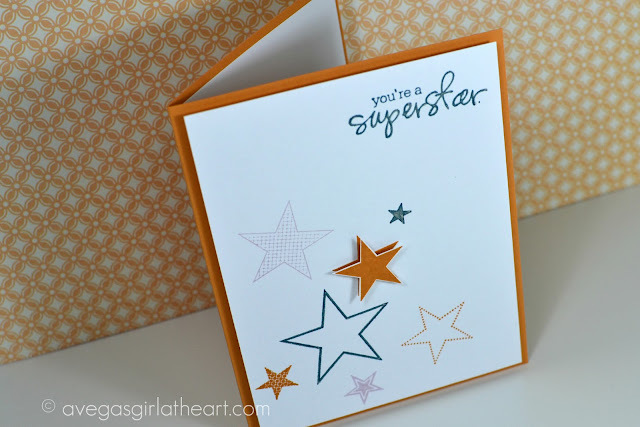 I used a glitter pen over the "superstar" stamp and some of the stars. I also cut one of the stars out (that was Brad's suggestion) for some dimension. I like it; it's simple, clean and masculine! You're just too hard on yourself. Aw thank you! We are our own worst critics! I like it too, I like the colors and the simplicity but I can understand how you feel when things on paper don't quite turn out the way you imagined. PS: I read the thread in the PL group and still don't see what the fuss was about. People should speak their minds and I like knowing if people are happy with their subs. But I read it yesterday so I don't know if more was added or what. Yeah I think it was the woman who was dissenting and the girl who called her a chick, I think they went too far with their comments but I still would have preferred the comments deleted rather than the post. SC is bad news and swapping photos when they sent out the wrong product so it looks like they sent the right one is so shady! I just want people to be warned. I've been reading back a couple of years about them now and I wish I had known that they've been bad for awhile, would never have subscribed.